Mumbai girl Sayyeshaa Saigal, grand niece of legendary Bollywood thespian Dilip Kumar, made her acting debut in Tollywood with Akhil a couple of years ago. 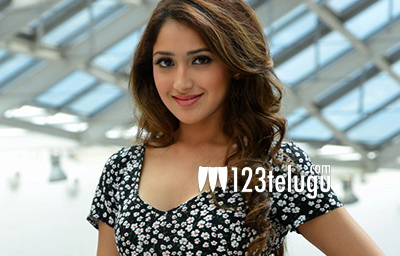 However, Sayyeshaa got busy in Kollywood and is signing some exciting projects alongside popular stars like Jayam Ravi, Vijay Sethupathi and Vishal. As per the latest updates, Sayyeshaa has been roped in for the female lead role in Tamil star Karthi’s next film in Care of Surya and Naa Peru Siva’s director Pandiraj’s direction. The film is a village entertainer. The makers are also in search of two more heroines for the film. Incidentally, Sayyeshaa was supposed to team up with Karthi and Vishal for Prabhu Deva’s Karuppu Raja Vellai Raja earlier this year. However, the film was shelved after a formal launch.